Please, God, not this week. I see my daily life through the lens that Torah provides as a construct in time. The parashat hashavua (weekly Torah portion), divided into seven parts, often provides daily insights and a thematic through line for the seven days of my week. There was a time when I considered the connections of my life with Torah teachings as coincidences. But that is no longer the case. Now I look for the connections, and they are usually pretty easy to find. But this week, I don’t want the connections to be made. This week, I don’t want the story to fit my life. 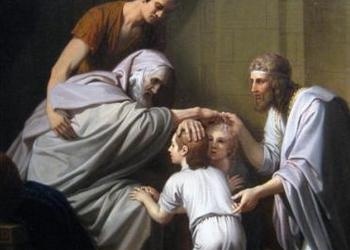 This week’s parashah, Vayechi, reads: “Vayikrevu yemei Yisrael la’mut,” “The time approached for Israel to die….” After Jacob/Israel gathers the strength to bless his grandsons Ephraim and Menasheh, he offers insights into his sons’ lives, and he dies. My grandfather Israel has reached the end of his years at 100, possibly the end of his months, maybe the end of his weeks. His children and grandchildren have given him their final blessings. His soul knows it has our blessings to be joined with his ancestors and loved ones, to take its leave when it so chooses. But please God, not this week. After all, Israel is 147 when he dies. My grandfather Israel is only 100. Israel calls his son Joseph to his bedside, then fails to recognize Joseph’s children. My grandfather Israel saw his son Joey on Sunday, and recognized his grandchildren without a prompt. 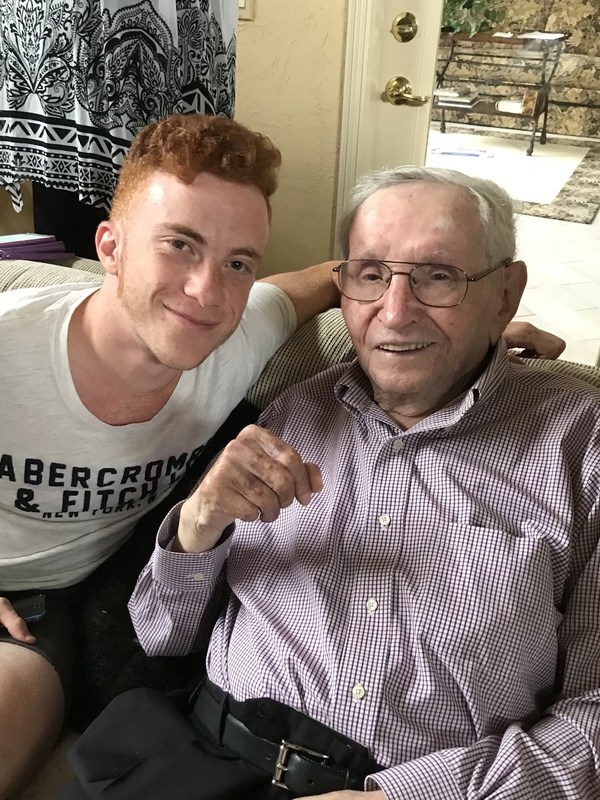 Israel blesses his sons with the prayer that their offspring should multiply for generations to come, having lived only to see two great-grandchildren. My grandfather Israel has lived to see great-great-grandchildren, and has no such need for such prayers. His have been answered. Israel dies in a foreign land, his descendants about to spend centuries in exile and enslavement. My grandfather Israel brought his family out of exile and enslavement to a land of freedom and prosperity. Israel looks back on his life as difficult and frustrating, filled with challenges and suffering. My grandfather Israel considers himself the luckiest man alive, blessed with a wonderful life despite having lived through the Holocaust, illness and loss. My Israel, son of Abraham has so little in common with the Torah’s Israel, son of Isaac. My Israel is a man of generosity and vision; the Torah’s Israel is a man of limited sight and spirit. My Israel is a patriarch who has been loved and respected by the generations that have followed him; the Torah’s Israel spent most of his days as Jacob, forging a twisting path through difficult relationships. Ken y’hi ratzon, so may it be Your will. May your prayers be answered. Thinking of you and your family. Love you all. A keeping you and yours and your Grandpa in my thoughts, heart and prayers! Quite a parallel. We will remember the good things and, whenever it ends, we will know it was a life well lived. A touching and beautifully written comparison of the two Israel’s. Sending prayers to you and your family for more years with your Israel. How fortunate you are to have not only a Grandfather but one who you could love, respect and admire. As someone who knew neither of my Grandfathers. I envy you. You are truly blessed. This is beautiful. Please know that we are thinking of your grandfather Israel and your whole family. I pray that your prayers are answered. Great article, Harav! It is always great to look at our families of past generations. Often, I look in the past as my mother would tell me of wonderful stories of my Zayde. He was a wise man and often quoted from the Talmud. He loved life and respectful of those close to him and of nature. Sorry for your loss. Your grandfather will always be alive in your memories and his neshama has transferred to another universe.